Often, when users register their Apple ID for the first time, they disregard Apple’s recommendations for data protection. They set up a very simple password or forget the control questions in a short time. 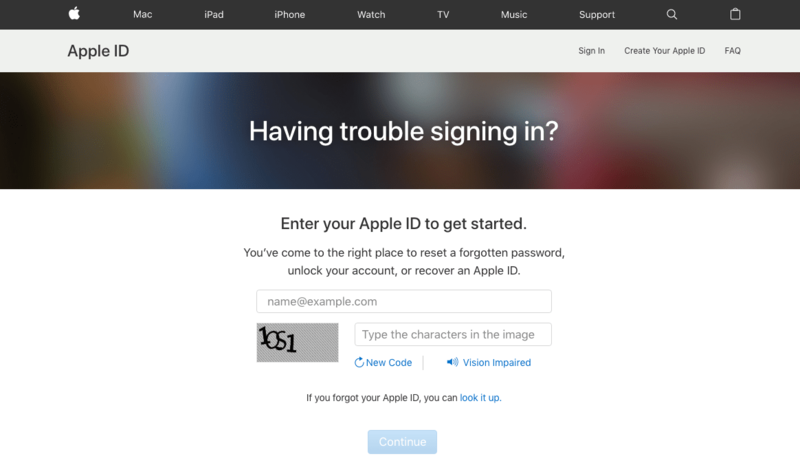 As a result, their Apple ID account with all its confidential information can be easily hacked by scammers. Apple ID is an account which allows Apple device users to access a variety of company resources: for purchases in the iTunes Store and the App Store, or when using iCloud and so on. Protecting your Apple ID account is very important to determine the legitimacy of user access to such devices and services, and its recovery can be very troublesome. However, don’t worry! Today, we will briefly describe how to change the password for the Apple ID account in order to avoid trouble in the future. Go to the page for managing your Apple ID account and log in. Answer your security questions to continue. 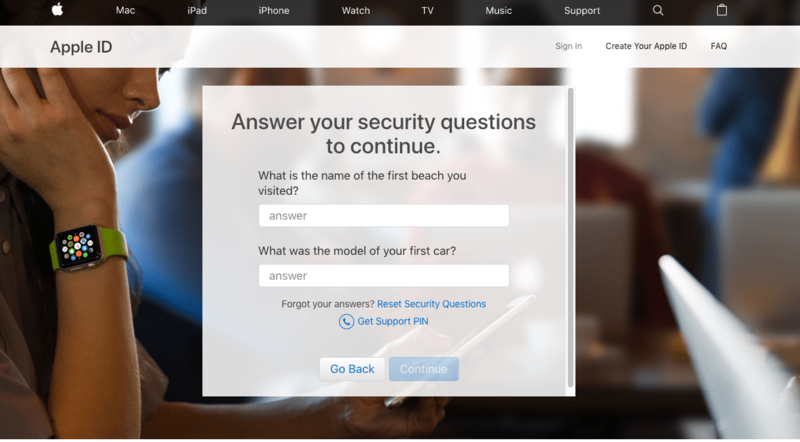 If you forgot the Apple security questions and enter incorrect answers over a number of times, you will have to wait for a while, and then try again. Find the Security section and click “Change password.” You will have to enter your current password and create a new password. Then click to Change Password. Go to the webpage https://iforgot.apple.com created specially for those who have trouble signing in. Enter your email address and the characters in the image provided, and click to Continue. Select “I need to reset my password” and click the Continue password. 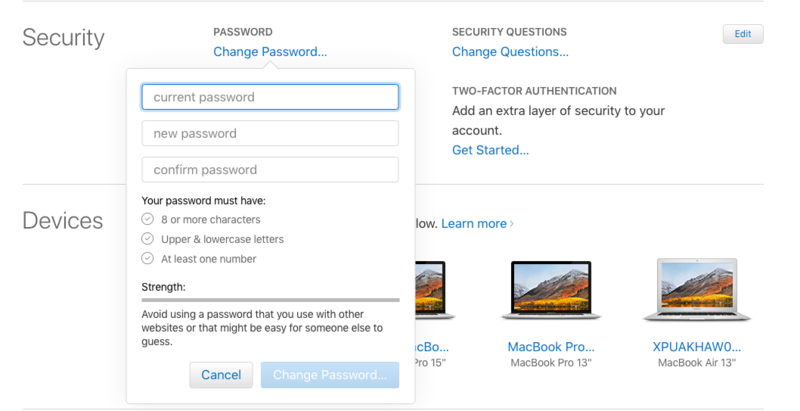 Then select how you want to reset your Apple password, whether via an email address or using your security questions. In the first case, you will get an email with the link to reset. Enter your new password and click the Reset Now button. Congratulations! You have successfully changed your password. 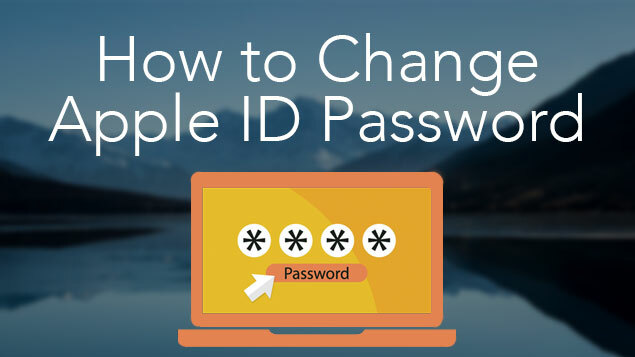 As you can see, changing your ID password is easy and fast. We recommend that you change your password from time to time to secure your ID and prevent identity thefts. Also, when you come up with security questions, try to make them more complicated. And, finally, if you want to prevent identity theft from your online activities, we highly recommend that you read the article about Identity Theft Protection.